Mulberry | Infonet Biovision Home. It is native to warm temperate Asia and mountainous China where it can reach 20m. Now, is widely cultivated in Africa where it is smaller. It's tolerant to drought and heat once established. 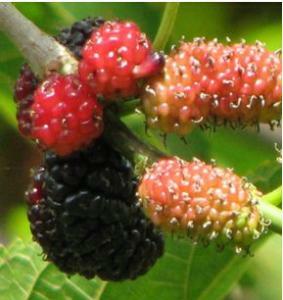 The ripe red Morus alba fruits are favourite with children and some animals and birds which are dispersal agents. Trees grown from cuttings produce fruit within 3 years as opposed to those grown from seed which takes 5 - 6 years. It grows in areas up to 2000 m above sea level, mean annual rainfall of 1500-2500 mm and it grows on a variety of soils ranging from sandy loam to clayey loam, but prefers deep, alluvial, loamy soil with sufficient moisture and pH 6.0 - 7.5. Food; the fruit is eaten fresh or made into juice. The leaves are nutritious and are sometimes eaten as a vegetable. Fodder; leaves are used as fodder for livestock. Soil erosion control; it is useful for stabilizing physical soil-conservation structures. Shade or shelter; it is suitable for shelter planting such as protecting orchards from wind. Soil fertility improver; it helps in maintaining soil fertility through litter fall and lowering soil surface temperature. Ornamental: it is also grown as an ornamental tree. Porcupines also damage young plants and also the plant is susceptible to fungal diseases such as: heart rot, spongy rot, leaf spot, stem rot, powdery mildew, rust and stem canker. Beentje HJ. (1994). 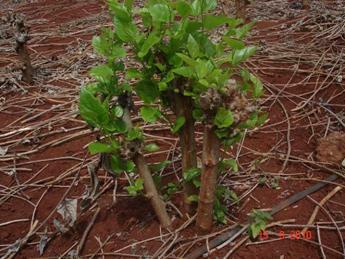 Kenya trees, shrubs and lianas. National Museums of Kenya. Bekele-Tesemma A, Birnie A, Tengnas B. (1993). 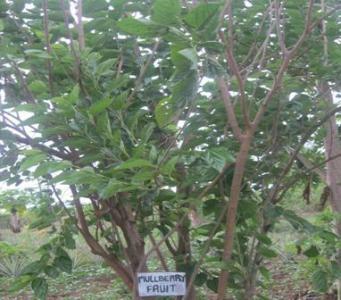 Useful trees and shrubs for Ethiopia. Regional Soil Conservation Unit (RSCU), Swedish International Development Authority (SIDA). Birnie A. (1997). What tree is that? A beginner's guide to 40 trees in Kenya. Jacaranda designs Ltd.